Dr. Ronen Avram is a Board Certified Cosmetic & Reconstructive Plastic Surgeon with an active practice in Hamilton, Ontario. 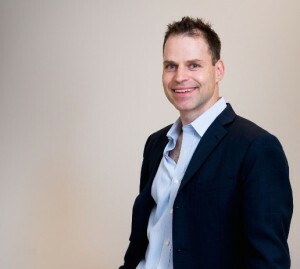 He is the Associate Professor for the Faculty of Health Sciences at McMaster University and the Program Director for the Division of Plastic Surgery. He completed his plastic surgery training at McMaster University in 2004. Dr. Avram pursued additional fellowship training in Breast Reconstruction & Microsurgery at the Memorial Sloan-Kettering Cancer Center (2005-6, New York City, NY). Dr. Avram also received extensive Cosmetic Surgery training at The Institute of Aesthetic Surgery (2006-7, Northern Westchester, NY). Dr. Avram joined the Division of Plastic Surgery at Hamilton Health Sciences in 2007. He quickly began to focus on the reconstructive needs of breast cancer patients while still attending to complex trauma related deformities and other types of cancer defects. Dr. Avram’s advanced training and 8+ years of experience with complex cosmetic, and reconstructive breast surgery cases has made Dr. Avram one of Canada’s most sought after breast surgeons. With his accumulated experience and established record, Dr. Avram is often called upon by other plastic surgeons for additional training opportunities and assistance with complex breast procedures. Please visit Dr. Avram’s website for more information.